Rime in Jilin is named as one of the four meteorological wonders in China together with the sea of clouds of the Huangshan Mountain, the sunrise of the Taishan Mountain and the tide of the Qiangtang River. Rime is usually called “tree sags” by people. China is the first country in the world that has the earliest record about rime. Each winter, although there is thick ice as hard as iron on the surface of the Songhua Lake, the water underneath remains 40℃ in temperature. Water coming out from the turbine has a difference of about 30 degrees with the temperature of the ground surface. Thus, dozens of kilometers of the river surface in the urban area does not have ice. The difference of temperature produces fog that lasts for a long time. There are pines and willows along the 5-km bank of the river. Under certain condition of air pressure, wind and temperature, fog will condense on tree branches, becoming rime. 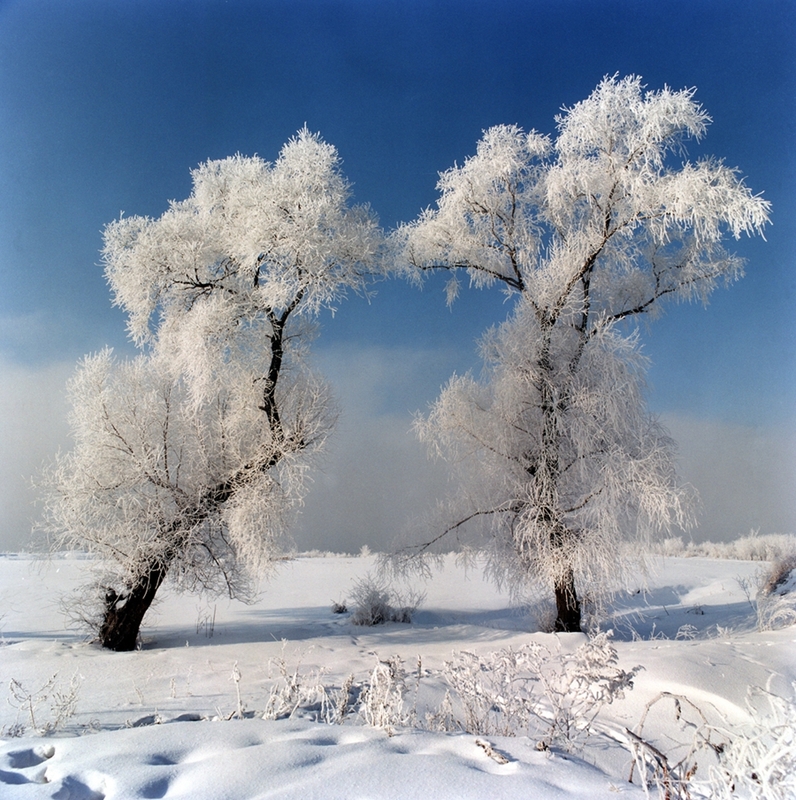 Due to the unique natural conditions, rime in Jilin lasts for a long time, and is thick. It also happens more. End of December to end of February next year is the best time for rime. It could happen more than 60 times maximum in a year. Beauty of rime in Jilin is wonderful and unique. People say there are three stages of rime – “watch the fog in the evening, look at rime in the morning and appreciate the falling flowers near the noon”. Rime can be seen in a large area. The major five spots are: Songjiang Road which is downtown, Ashihada which is in the suburbs, Hongshi Lake, Beidahu Woods and the Rime Photographing Base on the Rime Island. Rime in a variety of shapes can be seen in different places.